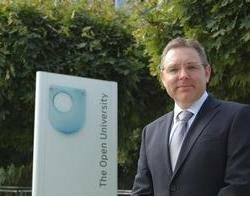 Nearly three years since joining the Open University, CIO David Matthewman continues to push a strategic programme to deliver value and innovation. After conducting a thorough review of how the university buys IT over the last few years, the highlights of David Matthewman’s tenure have so far included a move towards cloud tools and a shift towards a leaner set-up for applications and infrastructure. Now the focus for the next 18 months is supporting study processes and giving a new lease of life to the Open University's (OU’s) core applications, used daily by more than 6,000 associate lecturers and over 250,000 students worldwide. “Our business has evolved very rapidly in recent years as a result of new government and funding arrangements. So we have evolved our systems at the same time in ever more innovative ways to ensure we are dealing with the strategic needs of the university for the future,” says Matthewman. The IT team plays an important role in offering new facilities and tools to students as needs and behaviour around study patterns and technology change. This month, it launched OU Anywhere, an application to give students the option to download and access their core module textbooks, videos and other materials through mobile devices. This option is being provided in response to the growing number of students using tablets and smartphones as part of their studies. Students will have the option of accessing their course text and media through the app, in addition to the books and DVDs traditionally posted to them at the start of their modules. The IT team also had to intervene when new fee arrangements were enforced late last year. According to Matthewman, changes were needed to process government loans to students. Areas affected included the OU’s web front end, the finance system and links with the Student Loan Company (SLC). “The web front end and the underlying database were significantly enhanced to allow students to automatically register with an SLC payment, and a new matching and reconciliation process was created using data from the SLC to identify students and complete the funds transfer,” he says. “The university also created its own online eligibility checker to allow the student to self-assess their loan eligibility prior to the SLC opening applications for part-time students." He says the links with the SLC are very basic at present, but there are plans to enhance those connections in the near future. Read more from David Mathewman here.